VO2max workouts are the hardest training sessions to execute and recover from. I myself sometimes experience a thrill, even fear, right before these intense intervals, not unlike stepping into the ring against a superior opponent. Only that this fight is against the ‘will of your body’. But this is exactly what triggers the most potent adaptations, and ultimately, separates you from mid-pack runners. Aerobic power (VO2max) is 1 of 3 factors for fast race results. The other 2 being running economy and lactate threshold, which, too, play a vital role in competitive running. But VO2max is your primary limiter for running speed from the 5K to the marathon by a whopping 80%. In other words, an average VO2max equals an average race result despite all other factors being well-developed. VO2max is measured in by how much oxygen your skeletal muscles can extract per kg body weight per min. The key characteristics that improve aerobic power are the stroke volume of your heart, a high blood plasma volume with an abundance of red blood cells, a large number of mitochondria within your running muscles, and high aerobic enzyme levels to facilitate aerobic metabolism. All these adaptations are maximized with a variety of workout types, such as easy/long runs, threshold runs, and intervals. Therefore it is not only the ‘VO2max intervals’ that improve VO2max. They are called that way because they have the biggest effect on VO2max. But it would be wrong to assume that a diet of VO2max intervals is all it takes to achieve more aerobic power. True VO2max pace (100% of VO2max) is 2K to 3K race pace, which is a one-time 6 – 9 min all out effort. But for training purposes, intensities as low as 10K race pace (~90% of VO2max) are being used. The duration of each interval should be 3 – 6 min, depending on the intensity being applied, all of which are significantly above lactate threshold but not supramaximal. Before we dive into the specific VO2max intervals, here’s the warm-up and cool-down routine none of these workouts should be done without. Start with a 10 min warm-up jog, followed by dynamic stretches or form drills and 1 mile (1 – 2 km) easy running with 4x 50m accelerations. For your cool-down, another mile of easy running should suffice to return to homeostasis. 800s at 3K pace: This intense workout is excellent for improving running economy and VO2max alike. The anaerobic contribution is a manageable 10 – 15%, therefore it won’t negatively affect your aerobic enzyme levels. Do 4 – 6x 800m at 3K race pace with a work to rest ratio of 1:1. Use a performance chart if you are unsure about the exact intensity. 1000s at 5K pace: This is a classic VO2max workout as it is an ideal combination of intensity and interval duration. As with all VO2max workouts, this is likely to be the hardest running session of your week so make sure it’s sandwiched between easy runs or rest days. Aim for no less than 4 – 5x 1000m intervals with a work-to-rest ratio of 1:1 or 1:2/3. 1600s at 10K pace: Your heart needs about a minute from the start to match the required intensity level, therefore these longer intervals accumulate more time at target heart rate than shorter ones. This is also a great workout to improve running economy for 10K athletes as the intensity matches 10K race pace. Try 4x 1600m with a work-to-rest ratio of 1:1/2. 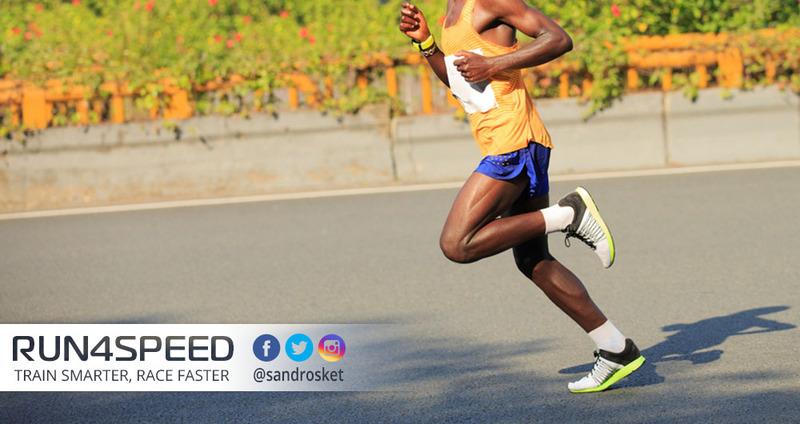 In summary: VO2max workouts are not the only ‘ingredient’ for faster race results, but the most important one across all distances from the 5K to the marathon. 5K and 10K runners can perform the above-mentioned VO2max intervals twice a week. Half-marathon and marathon runners can do well with one VO2max session per week. This, of course, depends on the current training cycle you are in.